Evil the SS are rescheduling next week cause mike is moving back to college, tex is camping, mat doing something i forget ect. Playoffs! 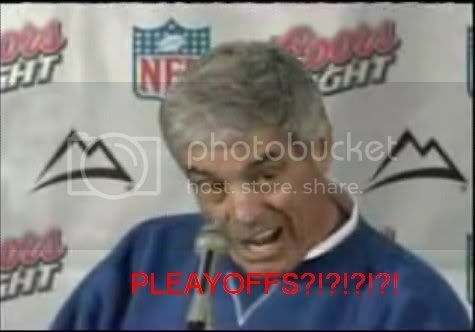 ?....Don't talk about playoffs!....You kiddin me....Playoffs!...I just hope we can win a game! Last edited by Golden Bough; 08-10-2009 at 03:40 AM. aww..im actually gonna be on a 1 week trip from 15th-22nd.. I have to say that I am not happy that this got posted without any contact with me. I have yet to receive results from a lot of the matches from this weekend. Please email screenshots of your games if you haven't done so. Some teams this season have been horrible at sending screenshots. Thank you to those teams who were good about getting it done. if you want J.C. and IronTeam in playoffs i say its useless ._. I got screenies for alot of matches il send em all but its like 1am ima sleep first b4 i go thru comp and find em. Can we split the playoffs up a bit so everything isn't squeezed into one week. Also, during the playoffs, there should be deciding games for 3rd, 4th, 5th, and 6th place. Wouldn't be hard to do. Each team from 3-6 would have to play an extra series. So will it stay all games on one day? Not talking about seeding. Talking about games for first round losers for 5th and 6th place and 2nd round losers for 3rd and 4th. Evil, can you update this post to include the server/times/opponents that are listed in the Summer League 2009 thread? I don't want people to get confused as to the dates and times. Also, for anyone who is wondering: the games will all be played on the same day. A champion will be crowned on Sunday. The finals start at 5. The other teams are welcome to use the other server (Server #2) to play games for 3-6th place. Are the games still 2 out of 3? Somehow for "important" games I wish it were 3 of 5, but that would take too damn long (probably need more than an hour per set, and definitely don't wanna do 3 sets of those in one day). Okay, I know a lot of information has already been put out there but I want to make sure that the playoffs are done correctly. Not much has changed from what was originally posted except for maybe opponent changes. Here is the updated list of games and game times for this Sunday. Let me be clear up front about these games - they will go on whether the teams show up or not. Unlike the games of the season, these games depend on the previous game. So rescheduling is not an option. A champion will be crowned on this Sunday. The playoffs will consist of 3 rounds. The first round will be a best of 3 (same format as the regular season). The second round will be a best of 5 and the finals will be a best of 7. The veto and map selection system will be similar to the regular season. The lower seeded team always selects the first map veto. In the first round this will follow the same format as the season with the lower seeded team selecting the first map to be vetoed followed by the higher seeded team selecting two maps to be vetoed and the final map being vetoed by the lower seeded team. In the semi-finals, with only two maps being vetoed, the first map will be vetoed by the lower seeded team and the second map will be vetoed by the higher seeded team. For map selection, the higher seeded team selects the first map to be played. Each subsequent map played is always selected by the loser of the previous map. PLEASE NOTE THE SEEDING NEXT TO EACH TEAM FOR VETO AND MAP SELECTION PURPOSES. Please take note of your seeding so that you know which vetoes are yours as well as whether your team selects the first map or not. I have scheduled the semi-finals in for a two hour time block, but if for some reason they take longer than that then the finals will be pushed back until the teams are finished. Again, please note that these games cannot be rescheduled. They will be played whether your team shows up or not. We all knew that these games were going to be played exclusively on Sundays when we all signed up. So if your team somehow can't make it then you will just have to try again next tournament. Possibly lobstars and flbss can reschedule for earlier this week, seeing as we're the first game and half their team can't make it and I can't make it and who the **** can sit and play competitively for 5 or 6 hours straight? i wouldnt mind that, but then one of our teams would have to play on sunday against ace anyways.. I don't see why the league is being rushed to a close. At the start it was said playoffs would take place over 2 week period if I recall correctly. Rescheduling has been allowed all tournament long and there was no inclination made that playoffs would be any different, especially since the fLbSS informed their opponents a whole week in advance. who the **** can sit and play for 5 or 6 hours straight? i dont actually play ._.